Proprietary Name: Himalayan Pink Salt Sweet Herbal Mint What is the Proprietary Name? Non-Proprietary Name: Sodium Fluoride, Sodium Monofluorophosphate What is the Non-Proprietary Name? 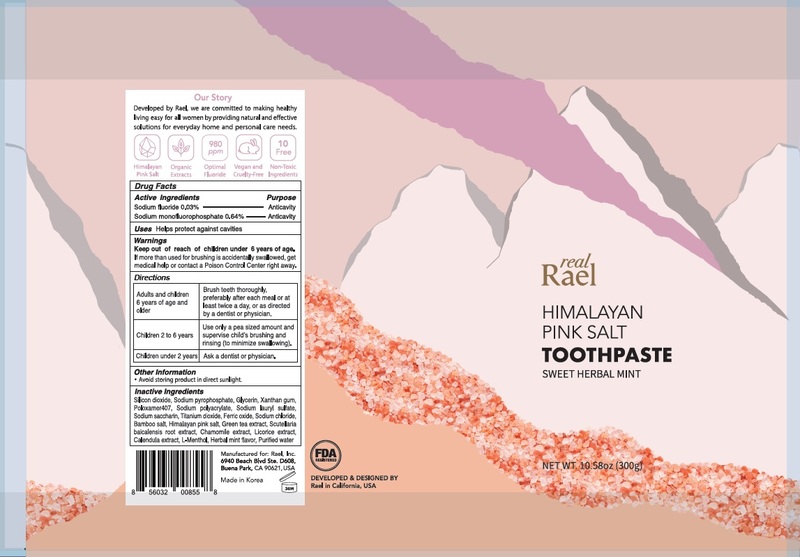 Himalayan Pink Salt Sweet Herbal Mint with NDC 72863-101 is a a human over the counter drug product labeled by Rael, Inc.. The generic name of Himalayan Pink Salt Sweet Herbal Mint is sodium fluoride, sodium monofluorophosphate. The product's dosage form is paste, dentifrice and is administered via dental form.